Discover our amazing customized airport statistics! Trying to find out what airlines operate a route? What routes are operated by an airline? Would you like to check the peak or valley times at an airport? You are just one click far from getting as many replies as questions you may have. Sign in and pay a look at this powerful tool. 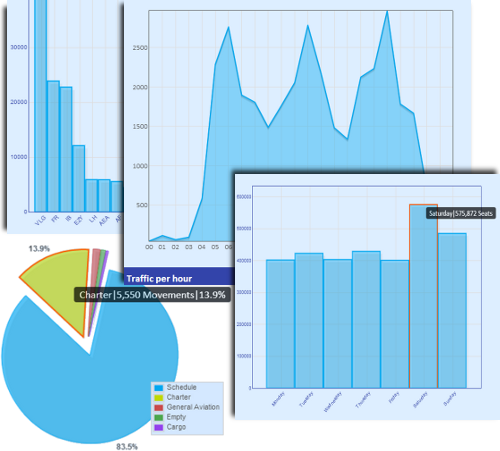 Follow the link for further information about the Flight Consulting´s online airport statistics.